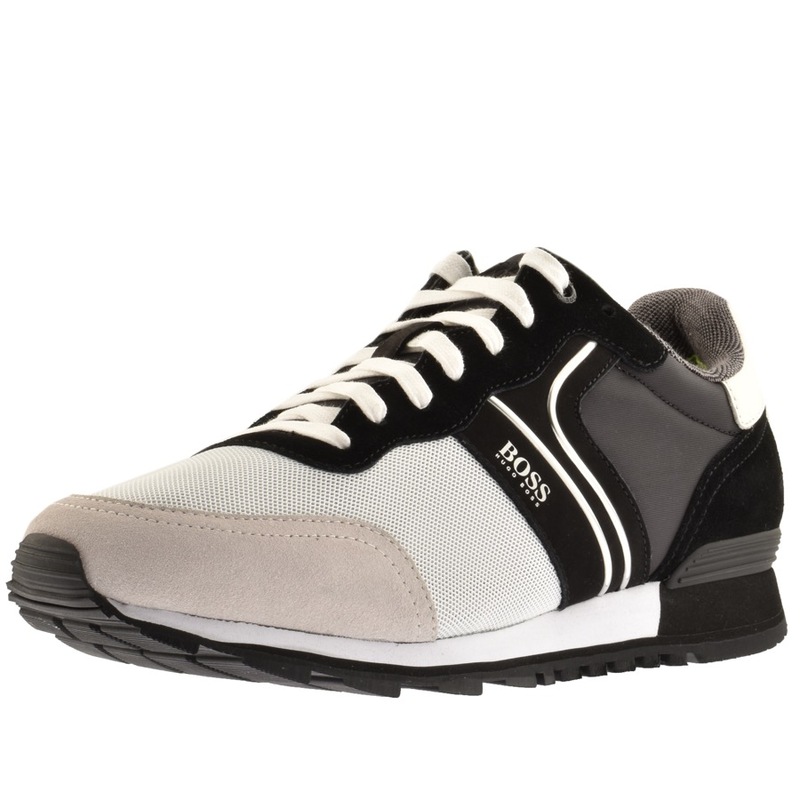 BOSS Athleisure Parkour Runn Trainers In White, White lace fastening featuring branded black coated metal eyelets at the top of the lace black suede stand with six additional eyelets. White woven mesh uppers with grey and black suede overlays to the heel and toe. A black overlay with silver lined detail and the signature HUGO BOSS logo is printed on the outstep in silver. A black tongue with the signature HUGO BOSS embossed logo situated at the top, A black panelled heel which features the signature BOSS HUGO BOSS logo embossed. A plastic stabiliser features above the sole on the heel in black. A white midsole with a slim black rubber sole. Part Of The Brand New Collection Of HUGO BOSS Shoes, Flip Flops And Trainers Live Online.